Gian Angelo Medici, born in 1499 in Milan to an impoverished family, received his initial education through charitable means. He studied medicine and received a doctoral degree in law at Bologna in 1525. 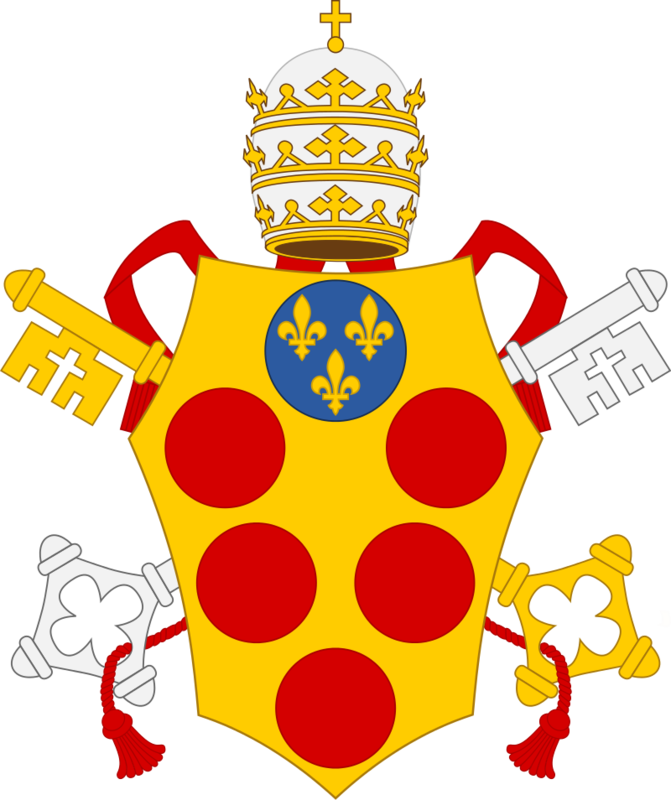 Within two years, Medici was working for the Curia showing great administrative ability. He worked as a governor in the Papal States and as the Commissioner of the papal military forces in Hungary and Transylvania. Later he was the vice–legate to Bologna. In 1549, at the age of fifty, Pope Paul III made him a cardinal. He enjoyed the favor of Pope Julius III as well. 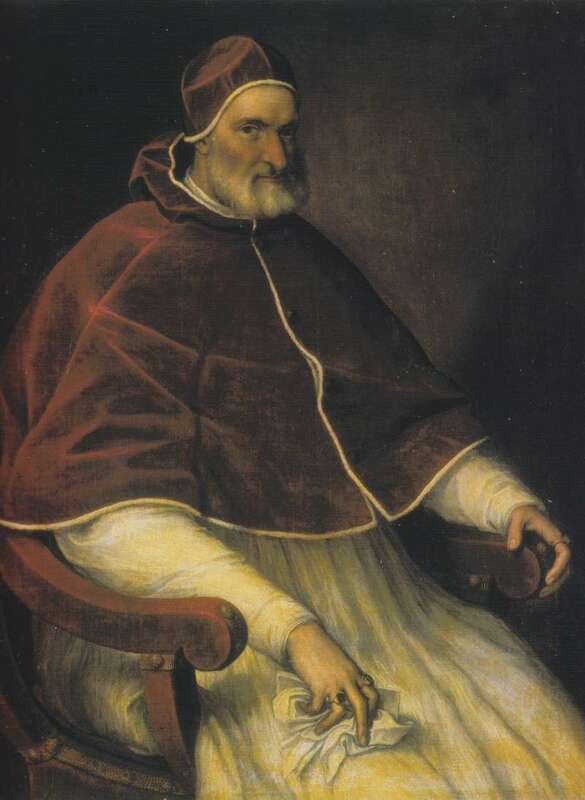 During the pontificate of his predecessor, Paul IV (1555 – 1559) Cardinal Medici left the Curia and Rome because he disagreed with the harsh policies of the pope. Upon the death of Paul IV, in a conclave noted for its political split between the French and Spanish factions and irregular proceedings in what should have been a closed conclave but was not, Medici was finally elected on Christmas day of 1559. He was sixty years old. During a relatively short pontificate, Pius IV was able to accomplish several important things. The first was to reverse many of the harsh and punitive and unprofitable policies of the perennially suspicious Paul IV. He released from prison the respected and virtuous Cardinal Morone who had been suspected of heresy by Paul IV and imprisoned. 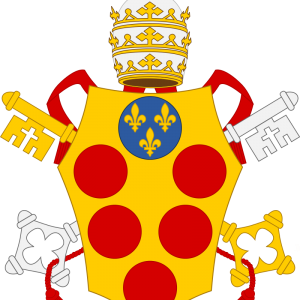 Pius made him the president of the last session of the Council of Trent. Pius had Paul IV’s notorious nephew, Cardinal Carafa tried and executed for his many crimes including murder. The Index of Forbidden Books and the Inquisition were reigned in and very importantly political relations with Emperor Ferdinand I and Phillip of Spain were reestablished. But Pius’ great claim to fame was his determination to bring about needed reform in the Church. 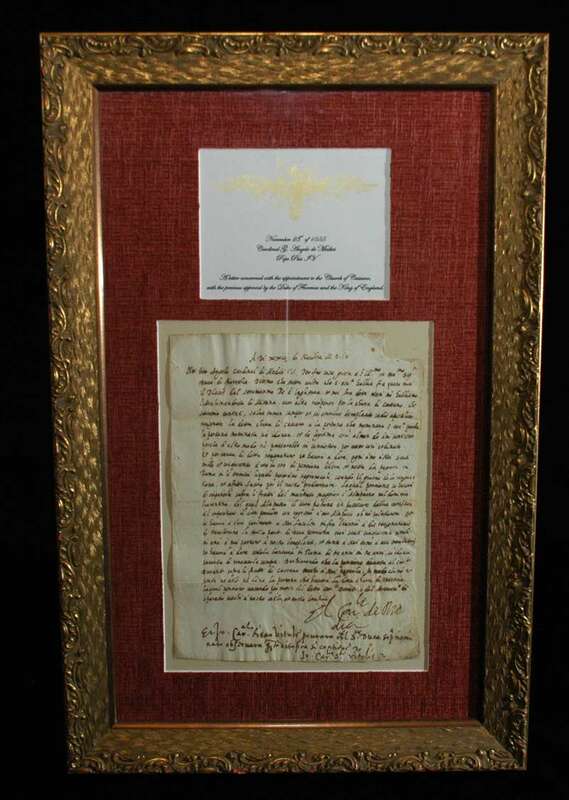 He was of the opinion that this reform should come from a successful conclusion to the Council of Trent rather than through the Tribunal or any punitive implementation of the Inquisition. He reconvened the Council of Trent amidst myriad problems of diplomacy and political intrigue involving the Emperor and the kings of Spain and France who were threatening to undermine Trent. 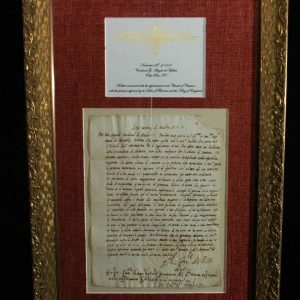 The pope’s response was to send the very capable Cardinal Morone to mediate their demands which he did very successfully. Trent certainly was Pius IV’s crowning achievement. During this session decrees on the order of priesthood, on matrimony, purgatory and the veneration of saints were all decided. 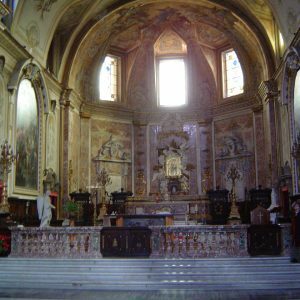 The sale of indulgences was prohibited and could only be granted by Rome. And very significantly the supremacy of the pope over the conciliar assembly was decreed, laying to rest the long debate that defined the final authority of the papacy. The Council closed in 1563 with dogmas established and reforms decided. The next challenge was to implement them. The Church thus set about the work of what came to be known as the Counter-Reformation–or perhaps more accurately, the Catholic Reformation. While he implemented the council’s decrees through a congregation of cardinals, enforcement would not be easy. One such degree was that bishops needed to reside in their own dioceses—something we take for granted but which was not practiced 500 years ago. Other key policies left to the pope’s discretion involved the Eucharist under both species and the issue of a married priesthood, which he did not decide. It is interesting that he wanted administrative reform left out of the council’s jurisdiction since he did not think the council had competence in this area. He enlisted the aid of Cardinal Borremeo for these meaningful and far-reaching reforms. Pius IV, not exempt from practicing nepotism (though he never promoted his own three children), did promote his nephews and offered them prominent positions in the Church. One of them proved to be a model of reform. Raised to the rank of cardinal at the age of twenty-two, Carlo Borromeo, known as the great saint from Milan, became the pope’s trusted confidant. It was Borromeo’s influence on the pope to reform the papal court and the church at large that proved to be such a blessing for the Church. Although the pope wanted both a reformed and holy papacy, he also wanted the princely and often frivolous life to which he had become accustomed. The strict conduct would begin with conclave discipline, that is, future conclaves would be held behind locked doors with no contact with the outside world. As a Renaissance pope he continued the tradition of patronage of the arts, commissioning Michaelangelo (who died during this pontiff’s reign after living through nine papacies) to transform the Baths of Diocletian into the Basilica of St. Maria degli Angeli. He was generous to other artists and scholars as well. He founded universities, set up the pontifical printing press office, and strengthened fortifications within the city. 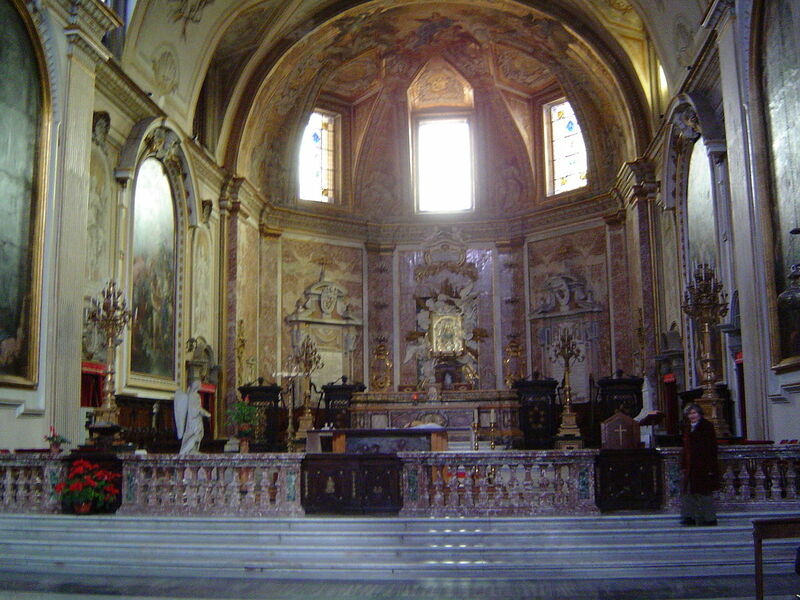 Additionally he initiated the catechism of the Council of Trent though he did not live to see it completed. He founded the Roman seminary to be administered by the Jesuits. However, Pius IV could not check the advance of Protestantism. Despite his love of elegance, this pope kept nothing for himself. He was known to have lead an exemplary and pious life and died at the age of sixty-six years. He is buried in St. Maria degli Angeli.